NJIT Named a Top University for Campus Safety Initiatives ... Again! 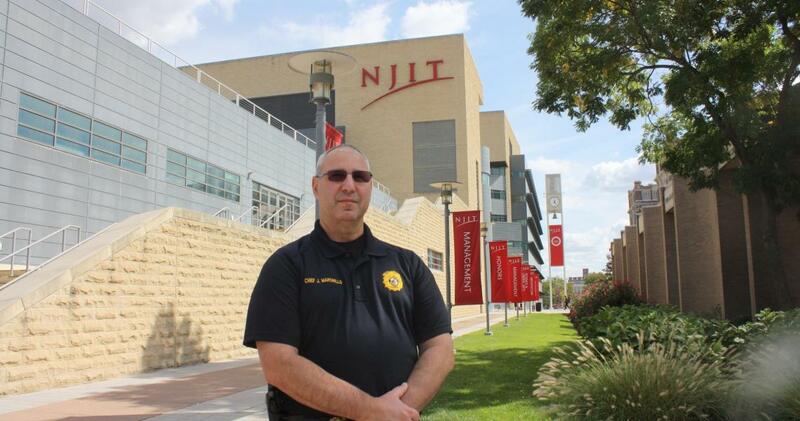 NJIT Police Chief Joseph Marswillo leads the university's top-ranked Department of Public Safety. For the second year in a row, New Jersey Institute of Technology’s (NJIT) Department of Public Safety was cited among the Top 25 safest campuses in the country. Ranked 22nd out of 4,706 eligible U.S.-accredited higher-education institutions, the university is also the only school in New Jersey to receive this national honor for 2018. “Each department on the list has shown outstanding dedication to the improvement of campus and student safety at their institution,” said Linda Shaw, director of Safe Campus, the organization issuing the rankings and recognition. Safe Campus’ mission is to improve the overall safety and security of U.S. college and university students. Each nominated college safety department was selected based on its efforts and improvements in campus safety, as well as achievement of quantifiable results. Public Safety at NJIT implemented numerous new safety initiatives over the past year, including a collaboration with the New Jersey Office of Homeland Security and Preparedness to employ FEMA Compliant Emergency Planning Exercises at the university; a partnership with the New Jersey Division of Highway Traffic Safety to assist in ensuring traffic and vehicle safety in the community; and the adoption of the nationally recognized Active Threat/Active Shooter Training known as ALICE. The department also initiated another way for students to become involved, as EMTs and community service officers. These and Public Safety’s many other endeavors have led to a consistent drop in Uniform Crime Report crimes over the past five years. Additionally, both undergraduate and graduate students at NJIT ranked campus safety No. 1 in the “very satisfied” category as part of a student satisfaction survey administered by the university.